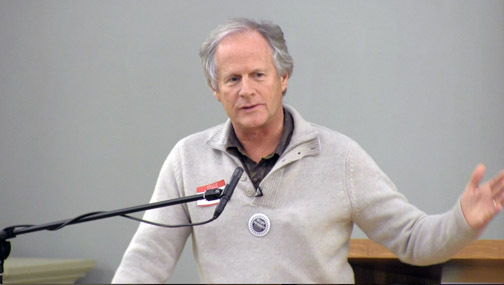 "The Occupiers are the foot soldiers for the revolution of consciousness that is swiftly sweeping the US and over the entire globe." 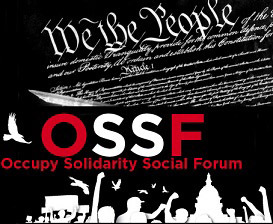 Over the weekend of February 17 - 19, 2012, I attended an event in Olympia, Washington, the Occupy Social Solidarity Forum 2012 (OSSF 2012), which brought together Occupy Wall Street groups from across the country. 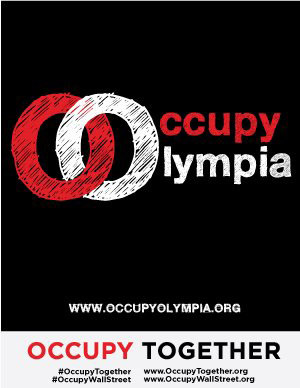 They all converged on Olympia, the state capital of Washington state, for an entire weekend of workshops, discussion groups and speaker presentations sponsored by the Alliance For Global Justice and Occupy Olympia. 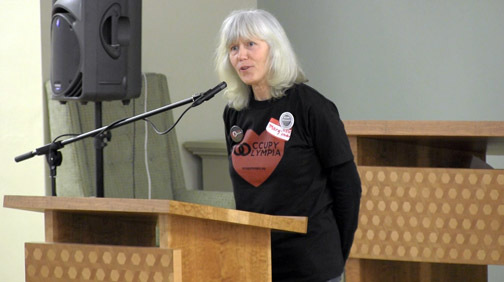 One of the organizers, Mary Abramson, told me this OSSF 2012 event has inspired Occupy groups in other parts of the country to hold similar gatherings in their regions. That is good news for all of us. The Occupy Movement, although somewhat silent during the past few cold winter months, will come out in full force this Spring, perhaps beginning as early as March. Expect the movement to become even bigger, bolder and stronger than ever before as it looks to build upon the phenomenal momentum it established during the latter half of 2011. The Occupiers are the foot soldiers for the revolution of consciousness that is swiftly sweeping over the US and the entire globe. This movement is not going away any time soon as there are now numerous dedicated and enlightened souls who are passionately committed to it. 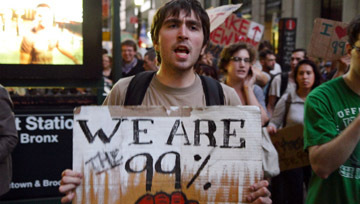 The Occupy Movement is now clearly a force to reckoned with and will likely have a huge effect upon this November's upcoming elections. The end result will be a transformation of life as we know it. 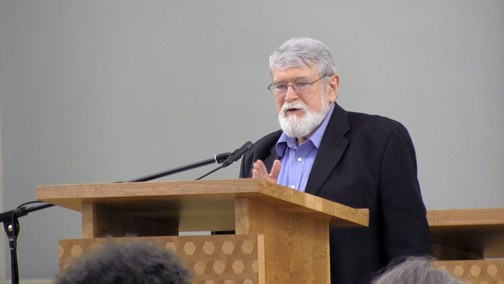 David Korten, economist and author of the book, "Agenda For A New Economy: From Phantom Wealth to Real Wealth", who spoke on Saturday evening, February 18th, had this keen observation of the Occupy Movement. "Every once and a while I read, 'the Occupy people need a little help with their branding,'" he said. "Which always makes me laugh. This has got to be the most successful branding exercise in human history! Imagine a brand that sweeps the world in a matter of weeks. That's incredible!" Another activist speaking on Saturday evening was a brave 84-year-old woman named, Dorli Rainey, who was pepper sprayed by the police at demonstration on November 15, 2011 in downtown Seattle. 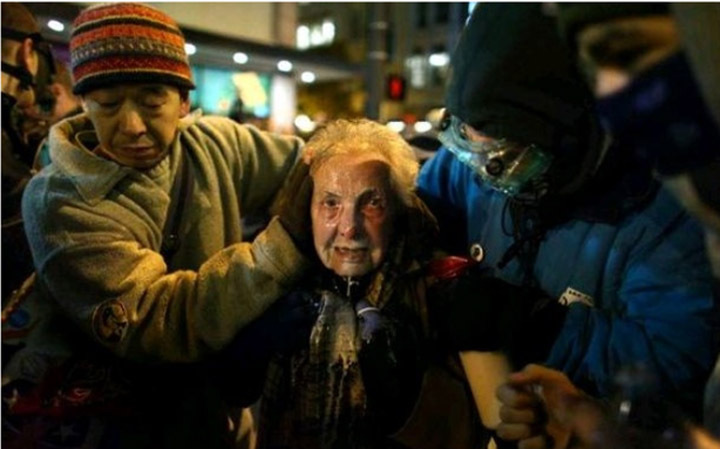 A photograph of her overcome by the pepper spray assault that night, went viral over the internet and she became a powerful symbol for the Occupy Movement. The entire ordeal brought her national attention and she was later interviewed by former MSNBC and now Current TV host, Keith Olbermann, on his show Countdown on November 16, 2011. Dorli Rainey is an inspiration and, in fact, I find the same feeling coming from the entire Occupy Wall Street Movement. only Wall Street, but many other fraudulent institutions that dominate America. I am very excited to see where this movement will go next! I see those who are dedicated to the Occupy Movement as important as the brave patriots who fought in the Revolutionary War during the 1700's to gain our independence from the British. I am well aware what an outrageously bold statement that is to make, yet I truly feel the Occupiers will have the same impact upon America. In many ways, the Occupy Movement is also reminiscent of the 1960's youth revolution, which in my mind, comprised the greatest generation in modern America, (with all due respect to the World War II generation, often referred to as America's greatest). Although the Sixties generation was eventually swallowed up by drugs and excesses of the Seventies, it nonetheless laid down a template of highly evolved thinking for future generations to follow. The Sixties youth managed to raise consciousness like no other generation before them. Although I was too young at the time to participate, I am still in awe of the Sixties generation and what they did as a collective whole. In retrospect, the hippies and yippies of the Sixties are now often looked upon as curiously silly, if not somewhat crazy. As is if the Sixties were just another part of America's youthful foolishness like the Roaring Twenties. In point of fact, all the hippies really wanted, their very basic core message was –– peace and love. Does anyone remember that? How noble those ideals were particularly after coming out of the repressive and conforming 1950's. Someday, the Sixties generation will be given their proper due respect by a world that will be in a far better frame of mind to appreciate them. The question I am often left with, after all of the raising of consciousness that occurred during the 1960's; with all of the great leaders who emerged such as John F. Kennedy, Bobby Kennedy, Martin Luther King, Jr.; the great events such as Woodstock, Haight-Ashbury, communes, political awareness,, etc. –– what happened?? Where did all that amazing positive energy go? After the forgettable Seventies, came the Yuppies and Wall Street greed of the Eighties, followed by the apathetic X and Y generations of the Nineties. Now finally in the 2010's, we have some young people who are ready to step up to the plate and literally take the bull (Wall Street) by the horns. How exciting the times we are living in! Which brings me back to the weekend in Olympia. 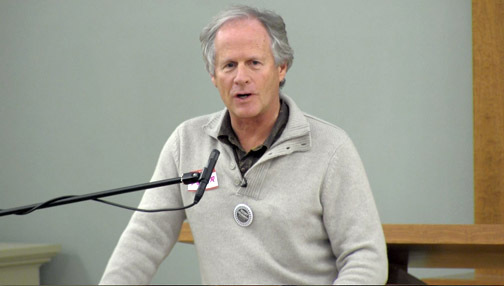 One of the main speakers at this event that I was most anxious to meet was the man who was the driving force behind the sensational new documentary film entitled, "Thrive" –– Foster Gamble. Along with his wife, Kimberly Carter Gamble, the two have created a film that fits perfectly in with the spirit of the Occupy Movement. "Thrive" offers a very comprehensive and enlightening overview of the predicament that America and the entire world finds itself in at this point in our history. The film clearly lays out that we are ruled over in every aspect of our lives by a corrupted, wealthy, disingenuous elite cabal, who have appointed themselves as gods and have decided they know how the planet should be run. At every opportunity, they have made decisions to enslave us and empower themselves. As a species, we have now outgrown that societal model and are ready for a way of living incorporating much higher ideals. And those who have been drawn to the Occupy Movement have had this realization too. 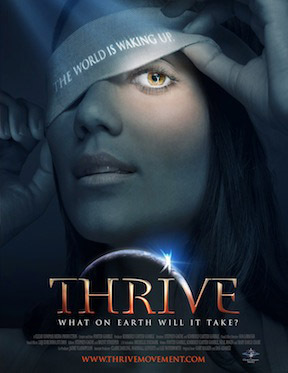 "Thrive" is an ideal tool to share with your friends, family and co-workers who may have no real clue what is really going in on the world yet feel in their hearts that something is drastically wrong. "Thrive" offers an almost comprehensive look at the the control mechanisms that have been in place for over 100 years that more and more people are becoming aware of with each passing day. Generally speaking, the film avoids touching upon the spiritual transformation underway on the planet, that is a major part of this process. At over two hours in length, there likely was not enough time to cover that aspect of the story in the film. 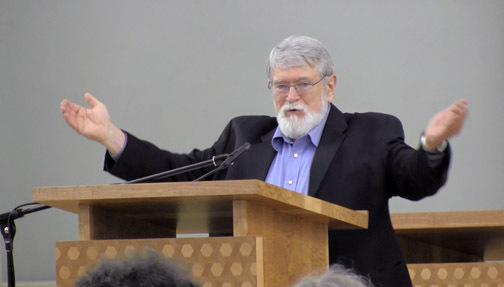 I had the opportunity to spend some time with Foster Gamble and I found him to be a sincere, engaging person who has a clear mission in his life. He told me that it was eight long years to bring the film to life until his production team finally settled on the release date of November 11, 2011. He admitted to me that he and his team did not even realize the synchronicity of the date of 11.11.11 initially, so it would seem that "Thrive" was somehow Divinely inspired to be unveiled to the world on that prophetic date. In conclusion, I must confess at this point in the game, I have no faith whatsoever in our current political system, nor the politicians, nor any particular political movement. Rather, I firmly believe in people power bursting through from the grass roots level which is going to make the difference. The true power is returning to the people in massive shift of consciousness as we transform our world from the bottom up. I envision that in the not-too-distant future, our cultural systems being turned upside down where eventually all the power will trickle down to the people and we will have very few actual leaders. Simply because leaders will become almost unnecessary and irrelevant. As consciousness continues to expand, people will realize they have all the power they need within them. They will no longer require anyone to speak on their behalf nor represent them in any way, shape or form. Everyone will become self-governing as more and more wake up to the fact that we are all one and always have been one. When that realization really takes root, our society will be transformed in the most miraculous ways imagined. This transformation is already well underway and will continue to unfold rapidly throughout 2012 and beyond. 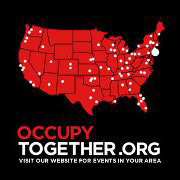 God bless the Occupy Movement and those who have given themselves to it. I thank all of you and offer my heartfelt support.